This workshop was held in May 2018 and this information is presented for reference purposes only. 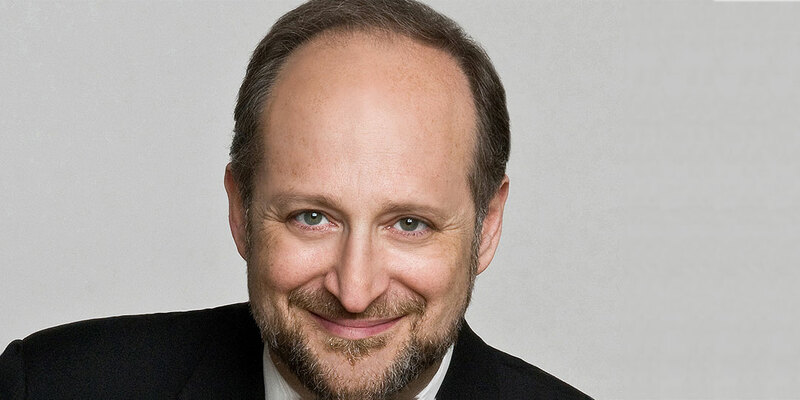 In this new workshop, Norman Doidge will explore some extraordinary advances made in the last 2 years in clinical applications of neuroplasticity, including the first reversals of dementia symptoms. It will show how new insights on why we have two different brain hemispheres can enhance our understanding, and improve treatment of, patients with brain and emotional problems, and deepen our approach to psychotherapy with challenging patients who are rigid, concrete, or lacking self-reflective capacity. It will also show how a deeper psychological understanding of the dynamic nature of human mental rigidity gets in the way of people accessing their own neuroplasticity. In this new workshop, Norman Doidge will explore some extraordinary advances made in the last 2 years in clinical applications of neuroplasticity, including the first reversals of dementia symptoms. It will also be of interest to psychotherapists. 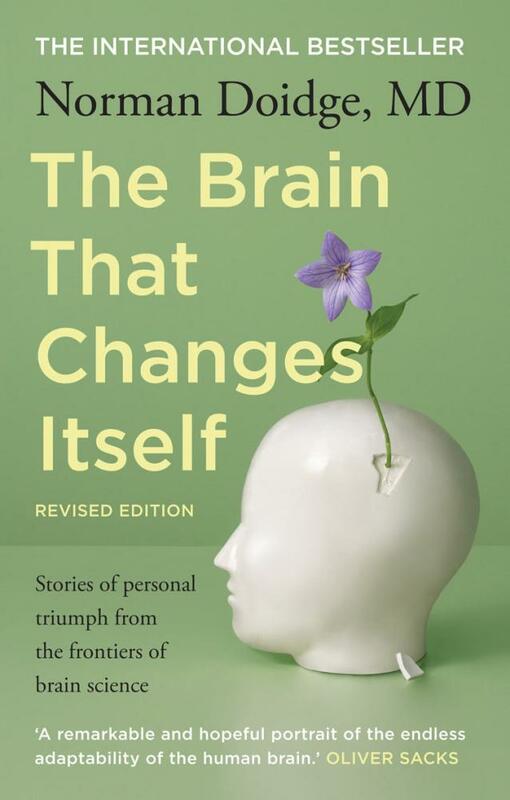 It will show how new insights on why we have two different brain hemispheres can enhance our understanding, and improve treatment of, patients with brain and emotional problems, and deepen our approach to psychotherapy with challenging patients who are rigid, concrete, or lacking self-reflective capacity. It will also show how a deeper psychological understanding of the dynamic nature of human mental rigidity gets in the way of people accessing their own neuroplasticity. 09:00am – 10:30am Opening. Thinking about neuroplasticity from the point of view of our two brain hemispheres. Why do we have two brain hemispheres? How do they differ, and how do those differences relate to our plasticity? How the hemispheres malfunction in mental health problems. How they get imbalanced, leaving clients and ourselves devitalized, stuck in a rut, and mentally rigid. How to reset the balance, enhance productivity, plasticity, and openness to learning, novelty and vitality. How to use our understanding of the two hemispheres to choose the appropriate psychotherapy or treatment for our patients. Note, this segment lays the groundwork for treating eating disorders and patients caught in rigid patterns, discussed on the second day. 11:00am – 12:30pm An overview of the five stages of neuroplastic healing, and how they apply to psychological, psychiatric and neurological brain problems. These stages are relevant for understanding almost all psychiatric and neurological conditions, including autistic spectrum disorders, ADHD, learning disorders, traumatic brain injuries, psychiatric disorders. We shall examine the factors that allow conditions thought to be beyond help, to often make rapid positive changes, using films to demonstrate these principles and actual changes in patients. 1:30pm – 3:00pm Correcting general cellular problems, the first stage of neuroplastic healing. The negative-plasticity switch in Alzheimer’s disease. Use of cellular correction for reversing Alzheimer’s disease (arguably the most important neurological breakthrough of the last 50 years); the first 200 cases who have reversed their symptoms; preventing Alzheimer’s, even in those with the Alzheimer’s gene. Explaining why the same diet that helps Alzheimer’s can help those on the autistic spectrum, traumatic brain injury (TBI) multiple sclerosis, those with ADHD, learning disorders, some depressions. The role of toxins, and detoxification for mental health. Hyperbaric oxygen breakthroughs for stroke and TBI. 3:30pm—4:30pm Focus on stages two and three, neurostimulation and neuromodulation. Parkinson’s, MS, PoNS, stroke update. Breakthroughs in TBI treatment in the last two years. 9:00am – 10:30am Using a new, in-depth approach to eating disorders (the psychiatric disorder with the highest mortality) as our example, we shall describe how to help often rigid, concrete, “non-mentalizing” clients to access their neuroplastic potential. 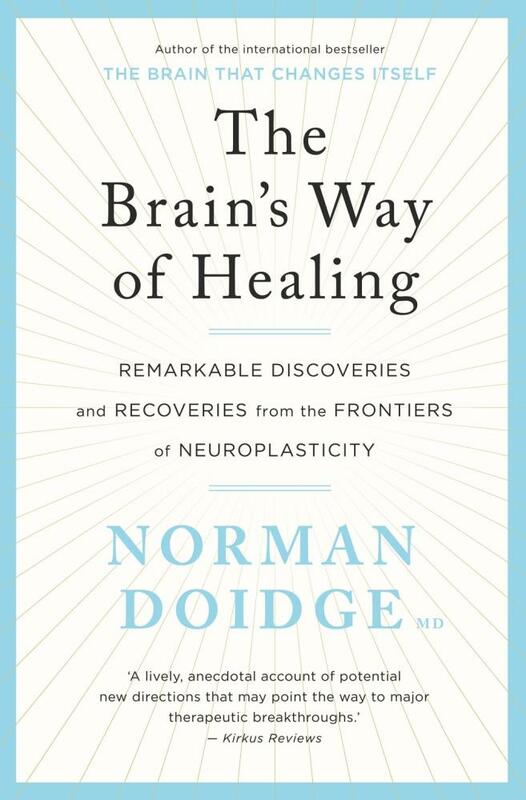 We will explore a new approach developed by Dr. Doidge that combines our understanding of the hemispheres and the five stages of neuroplastic healing (developed in day one), with an updated depth-psychological approach to eating disorders, which is now helping extremely ill patients. We shall explore the thought spectrum—which goes from directed to undirected thought—and how to harness this spectrum to facilitate better understanding of the psyche, and therapy for sicker patients. We shall show how this approach also helps us better understand work with personality disorders. 11:00am – 12:30pm 1. Neurorelaxation and neurodifferentiation, the final stages of neuroplastic healing, with clinical examples of how brain maps change. Arrowsmith brain exercise study, and the new peer-reviewed study showing the use of brain exercises does lower dementia risk. 2. Growth attitudes: how to trigger them. Experienced therapists know that outcomes often depend on client attitudes. Even good treatment techniques cannot help patients who are “help-rejecting complainers,” or “hell bent on their own destruction,” or “too sceptical for their own good,” or “too filled with unrealistic expectations for their own good.” We will shed light on the evolutionary and psychological roots of growth and anti-growth attitudes, and how both attitudes get engaged, and take hold in us and our clients, and then get neuroplastically reinforced. And we will explore ways to help clients switch out of anti-growth attitudes. This section is also of interest to clinicians who work with clients with personality disorders. 1:30pm – 3:00pm Complex disorders, and complex cases. Autistic spectrum disorders, learning disorders and traumatic brain injury. We will discuss complex cases, where combined neuroplasticity approaches are almost always necessary. Combining diet for cellular problems (stage 1) plus and listening therapy for neurostimulation (stage 2), plus and neurofeedback for neurodifferentiation (stage 3), in cases of autism, traumatic brain injury and learning disorders. Tailor-made brain exercises for TBI. Neuroplastic approaches for “plasticity gone wild”: chronic pain, OCD, multiple chemical sensitivities, chronic fatigue, fibromyalgia, and psychological trauma. 3:30pm—4:30pm Review, Q & A. The workshop will be delivered via a combination of lecture with accompanying handouts, review of clinical applications via session recordings, and audience questions. WHO IS THIS TRAINING SUITABLE FOR? These workshops are suitable for (but not limited to) mental health professionals, including psychologists, psychiatrists, therapists, counsellors, social workers, neuropsychologists, chiropractors, osteopaths, psychometrists, recreational therapists, occupational and physio-therapists and naturopaths. There are no prerequisites to attending this workshop. Anyone interested in the workshop content is welcome to attend, however you do so under your own volition. These workshops are aimed to bring you up to date with the very latest research and clinical implications from the field of neuroplasticity. Are morning and afternoon tea included? What about lunch? Morning/afternoon tea and/or lunch can be ordered separately from your actual workshop registration. These optional refreshments are provided by the event venue in each city and by allowing participants to order them separately allows Byron Clinic to keep the cost of the workshop as affordable as possible. Each venue is centrally located within easy walking distance of a number of food outlets and choices. You can order morning/afternoon teas and/or lunch either simultaneously with your workshop registration or as a separate order at a later point in time. For those who order them, morning/afternoon teas include tea, freshly-brewed coffee and juices, along with a selection of pastries. Lunch will include the Chef’s daily selection of sandwiches, wraps and/or rolls, cake and/or biscuits, a selection of fruit, served buffet style along with tea and coffee. Please note that vegetarian and gluten free options will be available. Other specialty dietary needs can not be catered for. Tea and coffee will only be available at lunch to those participants at lunch time who have ordered lunch in advance. Do I get a Certificate of Attendance? What about CPD hours/points? Byron Clinic Pty Ltd provides a Certificate of Attendance to each workshop attendee. Certificates will be completed using the given name at the point of initial online registration and payment. These will be distributed as a hard copy to participants prior to the conclusion of the workshop. It is the attendee’s responsibility to ensure that they have their Certificate of Attendance at the time of distribution. This workshop should accrue a minimum of 11 hours of learning. Certificates of attendance at this Professional Development activity will be distributed at the workshop. For CPD points for specific organisations, please see: APS, AASW, RANZCP, ANZCMHN. Please ensure that you have received your certificate prior to the end of the workshop. Requests for duplicate certificates after this period will incur an administration fee. What are the training terms & conditions? Why can’t I use another payment method? Byron Clinic’s entire accounting and workshop processing is based on payment by credit card. This has consistently proven to be the most popular, efficient and cost-effective means of handling online payments, registrations and workshop administration. What is the Administration & Processing Fee? The Byron Clinic Administration & Processing Fee is based on the fees paid to the banks and credit card providers and on Byron Clinic’s administrative and payment processing costs. Does Byron Clinic offer Group or Student Discounts? No, the only discounts available are our time-based booking windows: ‘keen’, ‘early’, ‘standard’ etc. The earlier you book, the lower the registration fee. Please contact us via our contact form here, selecting the “Workshop” => “Norman Doidge 2018” option and we’ll get back to you as soon as possible. Join now to be kept informed about upcoming events from Byron Clinic.